I’ve been depriving Tony of a favorite dessert for quite some time, but with Pi Day on the horizon, I knew it was time to get to the kitchen and bake a banana cream pie. 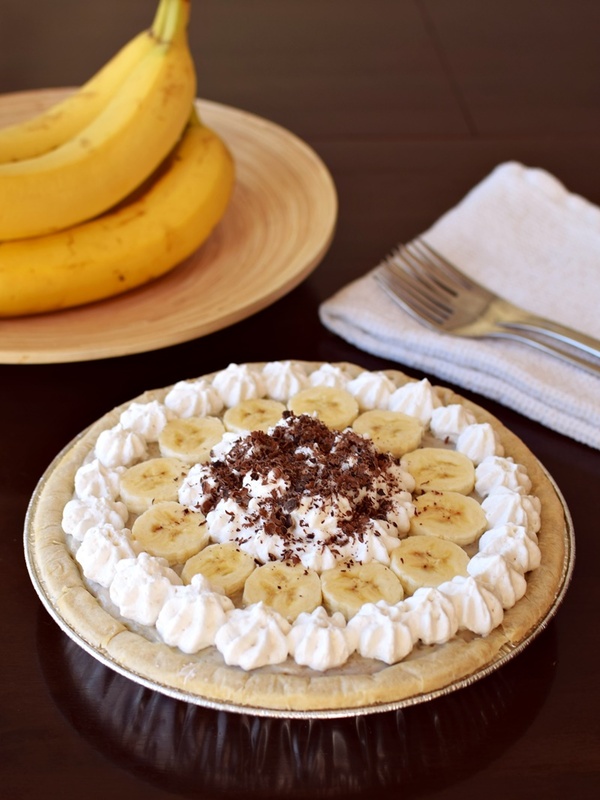 Unlike most banana cream pie recipes, this one is made from scratch, rather than a pudding mix, and has a special infusion of banana that helps to set the pie rather than making it runny (like mashed bananas would do). 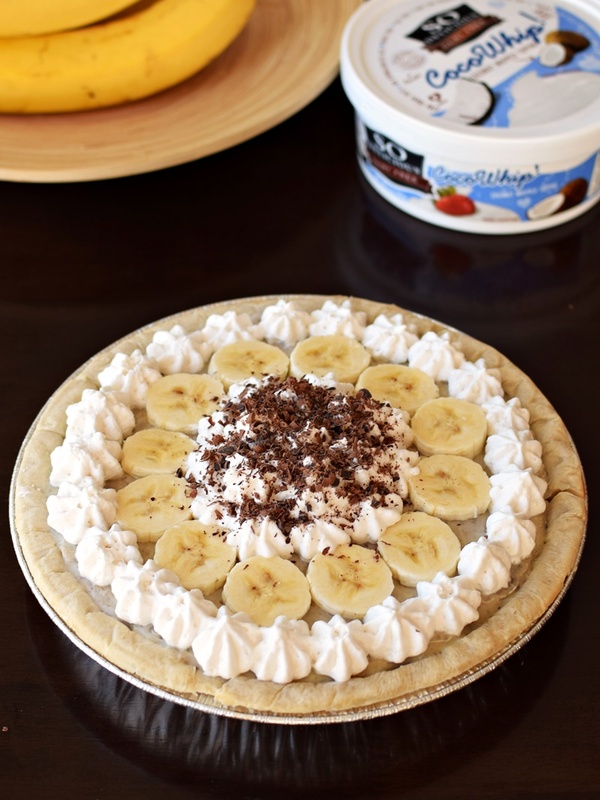 I’ve always found it strange that banana cream pie is really vanilla pie with bananas on top – I wanted to taste banana throughout for a true banana cream pie experience! Of course, the recipe is dairy-free and decadent, too, but I’ve also made it naturally gluten-free and allergy-friendly for the So Delicious Pi(e) 4 All event this weekend! 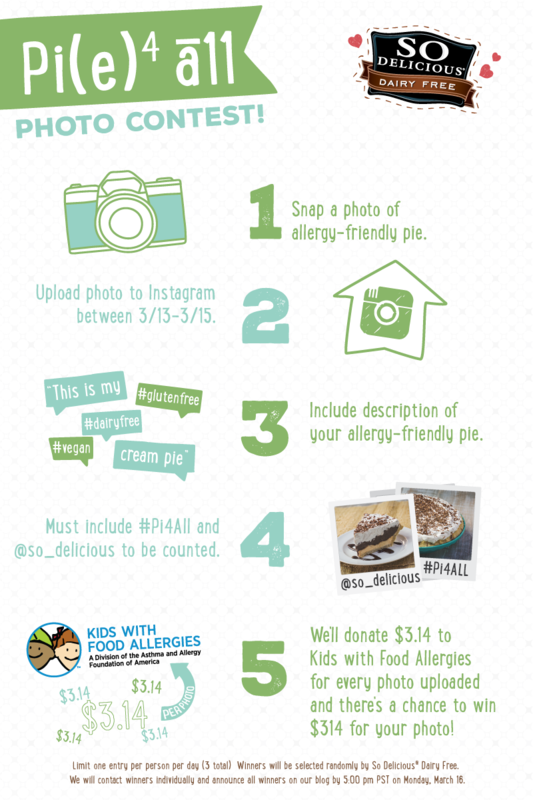 In honor of Pi Day (3.14.15), So Delicious Dairy Free is hosting an Instagram contest called Pi(e) 4 All (#Pi4All) to celebrate allergy awareness through your creativity in making and finding delicious allergy-friendly treats! For every photo of allergy-friendly pie uploaded to Instagram between 3/13-3/15 So Delicious will donate $3.14 to Kids with Food Allergies (KFA)! Additionally, one lucky winner will receive a $314 prize for their photo. They will also select 10 random winners to receive 3 VIP coupons redeemable for So Delicious treats! So what is my banana cream pie recipe made of? It gets a creamy base from pure coconut milk, but don’t worry, generous infusions of banana and vanilla make for a seamless flavor. The slight pudding consistency is made with a traditional preparation, and then it sets up for slicing with a nice little dose of luxurious coconut oil rather than butter. 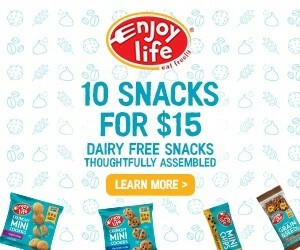 This post is sponsored by So Delicious Dairy Free in celebration of Pi Day, allergy awareness and the Pi(e) 4 All Instagram Contest – join in! And don’t forget, if you love dairy-free food, you can feast with your eyes daily by following the So Delicious Instagram and Go Dairy Free Instagram. 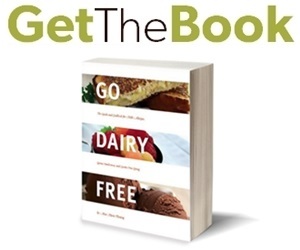 This recipe is dairy-free / non-dairy, egg-free, optionally gluten-free, optionally grain-free, optionally nut-free, peanut-free, soy-free, vegan / plant-based, and vegetarian. What about eggs? I’ve created this recipe to be egg-free and vegan, but egg yolks make from-scratch banana cream pie filling yellow in color (when using pudding mix, it’s usually coloring). If you want more of a custard and that sunny hue, temper in 2 to 3 egg yolks when thickening the coconut milk mixture. Without the egg yolks, the filling is a beige color – the freeze-dried banana does oxidize slightly, but it’s still just as tasty and good for you! Make it lighter? Though this recipe is already much lighter than many of the vegan banana cream pie recipes out there, it is slightly richer than a traditional pudding pie. That said, it also sets up better for slicing! 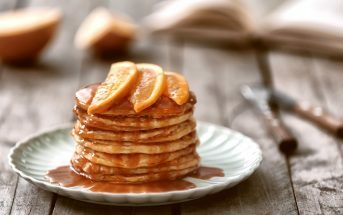 If you want more of a traditional pudding pie that is a touch lower in fat, you can reduce the full-fat coconout milk to 1 1/2 cups and increase the milk beverage to 1 1/2 cups. You can also reduce the coconut oil to 3 tablespoons. The pie will be a bit softer / more pudding like, once cut. Please see the post above for all kinds of optional adaptions, including making it lighter, with eggs, etc. As is, this recipe is naturally vegan and free of top allergens, but no one will know! Whisk the coconut milk, sugar, lite coconut milk or milk beverage, cornstarch, and salt together in a medium saucepan until smooth. Place pan over medium-low heat and bring to a bubble, whisking often. When it just begins to bubble, cook and whisk for 2 to 3 minutes more or until thickened to a pudding consistency. Remove from heat. Place the freeze-dried bananas in a spice grinder and whiz until powdered, 30 to 60 seconds. Thoroughly whisk the powdered banana, coconut oil, and vanilla into the pudding mixture. Let cool for 10 minutes, whisk again until smooth, and then pour into your prepared pie crust and level out the top. Cover with plastic wrap touching the surface of the filling and refrigerate for at least 6 hours or overnight. Serve chilled, but when ready to serve, top with freshly sliced bananas and coconut whip. Coconut Milk: This is the creamy, full-fat stuff that comes in little packages. You MUST use a good quality variety that creates a thick cream (I use So Delicious Original Culinary Coconut Milk, which is very consistent). DO NOT substitute a milk beverage. Could you use full fat canned coconut milk instead of the packages? Yes, it is full-fat coconut milk – cans or aseptic – same thing! Question, i dislike bananas, however, this looks like the best recipe I have found in a while. 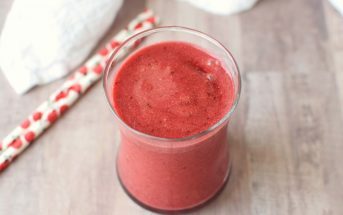 Can I use freeze dried strawberry? Would it matter? Thanks!! Yes, you can use any dehydrated fruit that you like! 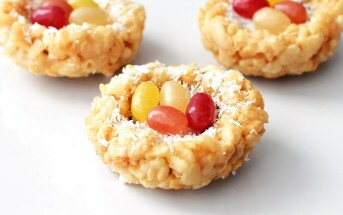 What a great idea to infuse banana flavor into the filling with powdered dried bananas. Will definitely try that. This sounds amazing especially when made with coconut milk! I love banana cream pie! so you said for all….does that mean me too!? cuz id love some of this delicious treat! Do you know how long this will keep? Hoping to make it 1-2 whole days in advance! Hi Jennifer, since it does have rehydrated banana within, it’s best within the first couple of days. But it can be made a day ahead without a problem. The bananas do oxidate though, so the color isn’t as yellow. This looks so yummy .I have to try it. Thank you for all your delicious recipes. Blessings. WE are such a banana family!!! Love it! Why YES, I WILL have a piece for Pi Day today! What chocolate did you grate on top of the pie? WOW. That pie is absolutely beautiful!! Seriously, I am so impressed! I made a banana cream pie for Pi Day too!! It is my husband’s favorite. I love that yours is allergy friendly–mine was SO not!! Great husbands eat alike! I bet your banana cream pie was DIVINE! I love how your recipes are friendly for all, and it makes me wish I did that more often as I kinda feel bad for the people I exclude. This sounds delicious, and how appropriate for pi day! Yummy! This is drop dead gorgeous! I just had a raw banana cream pie and it was just meh…but the flavors got me thinking that I need to try my own hand at it. This will be my recipe!! Thanks Alyssa! I agree, I haven’t been thrilled with many of the raw ones. 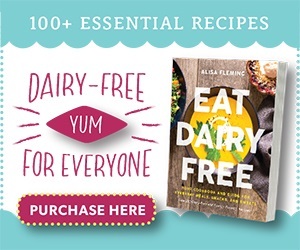 Thank you for spreading the word about this fun campaign by So Delicious, Alicia! Allergen-free and beautiful! I could imagine digging into a slice of this! Yum! You never cease to amaze me with your dairy free and egg free creations. 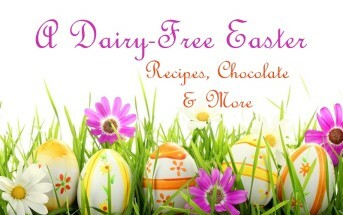 I love this contest and great timing because it’s perfect for spring eats and easter! 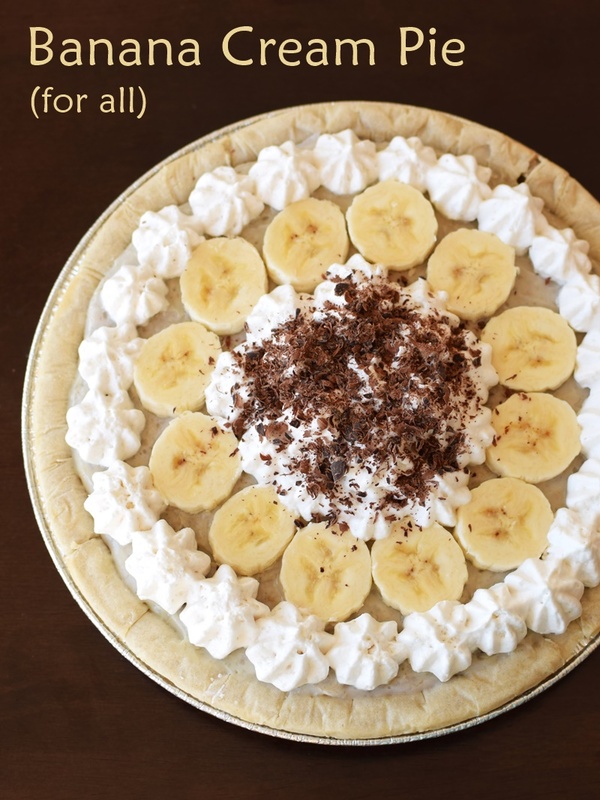 My banana-loving boys would love this pie!